MEGURO ELECTRONICS CORPORATION has been developing many excellent products such as standard signal generators, audio analyzers, CD/DVD related units, AV related units, etc., as an electronic instrument maker since the company was established. Showing recent results 1 - 7 of 7 products found. 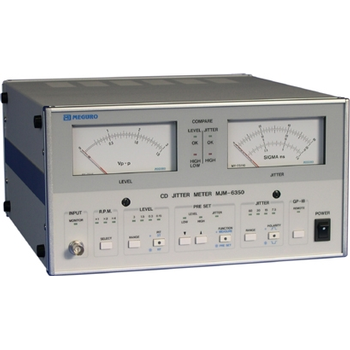 CD Jitter Meter designed for measuring the time jitter in the EFM modulated signal and signal level of CD players, CD-ROM drivers and other devices at Standard/Dual/Quadruple speed. 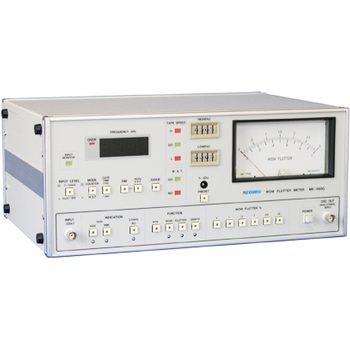 Audio Analyzer which incorporates the measurement functions of distortion, relative Value, AC/DC level and frequency in a single instrument, and also is equipped with a low distortion audio signal source (DDS method). 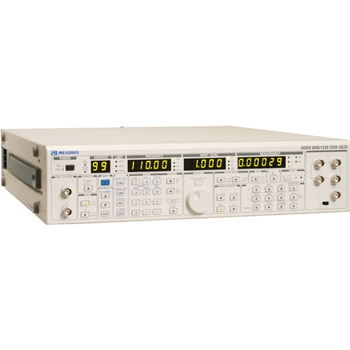 This unit is designed for allowing a multifunction, high-performance and high speed measurements of various characteristics of stereo amplifiers, AM-FM receivers and other electronics appliances. designed for measuring the wow flutter in recording/playback equipment such as recorders for sound and video tapes, discs, and film. 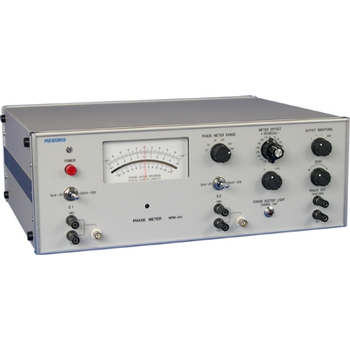 A sensitive instrument for the accurate determination of phase relations from 0 to ±180° in the frequency range from 10Hz to over 2MHz.It is specially suitable for use in the development and improvement of wideband amplifiers and networks where only the response measurements are not sufficient. In pulse work, phase adjustments can be made from 0 to ±180° by its use. 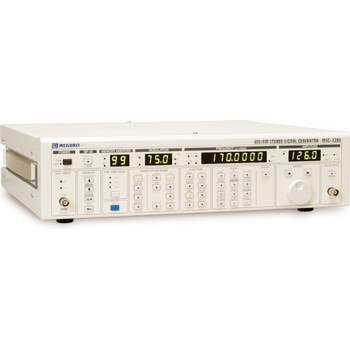 This MSG-2280 high-performance digital standard signal generator adopts the DDS (Direct Digital Synthesizer) method. The wide frequency of this unit ranges from 100kHz to 170MHz covering the weather band, and it is provided with a built-in FM stereo modulator, so that this unit is the most suitable for adjusting and inspecting multi-band receivers. 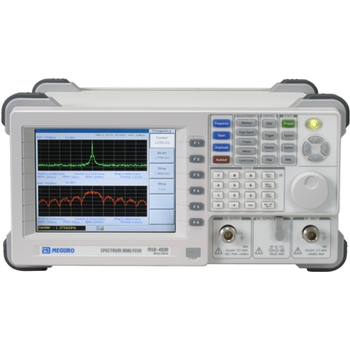 Spectrum Analyzer, with much elevation on the frequency domain technology, is positioned as an accurate and powerful equipment for RF measurements in the industrial fields. The 3GHz Frequency band(9kHz to 3GHz)and the Low noise floor of -117dB greatlyexpands the MSA-4930 dynamic range to a level that meets most of the critical measurement requirements in various market sectors. 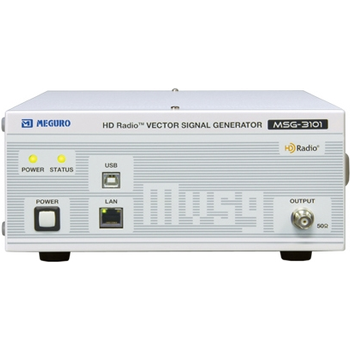 The MSG-3101 is a Vector Signal Generator designed for tests of AM/FM radio receivers for HD Radio™ technologies. The test vectors required for testing the AM/FM radio receivers for HD Radio are written into the built-in FLASH memory; they can be rewritten by computer being connected by LAN.